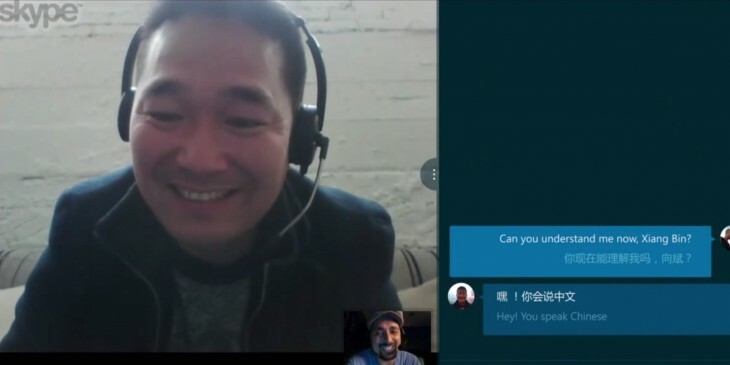 Skype is making it easier to break the language barrier. In a new blog post, the company announced it’s extending its real-time translation feature to support mobile and landline calls – even if the caller on the other side doesn’t have Skype. The Microsoft-owned video chat service initially introduced its Star Trek-like ‘Translator’ functionality back in 2014, but has been steadily improving on it since then, eventually opening it up to all users later in 2015. But until now, ‘Translator’ remained available solely for Skype-to-Skype calls. Still, not everyone will be able to take advantage of the new feature. For one, you’ll need a (free) registration on the Windows Insider Program, the latest version of Skype Preview as well as some credits to pay for the calls. The translation option essentially works the same way it does with standard Skype calls. You dial the number, toggle the ‘Translator’ on and proceed to select the language. Select the dial pad, enter a phone number to see [the] Translator option next to the call button. Tap it to bring up settings for Translator. From here set the languages and place the call. Once the person on the other side picks up they will hear a short message stating that the call is being recorded and translated through Translator and then you can start talking! For now, the app supports translation in a total of nine languages, including English, French, Spanish, German, Chinese (Mandarin), Italian, Portuguese (Brazilian), Arabic, and Russian. While you can expect the artificial intelligence-powered ‘Translator’ to make a mistake here and there, at least you won’t have to rely on gesturing.